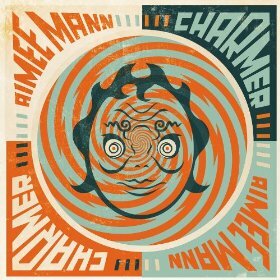 Still displaying one of the most unique voices in modern music (certainly a unique female voice), Aimee Mann opens her eighth studio album, Charmer, with a poppy title track. I like the slide guitar, shuffle drum beat and arpeggio keys of the second tune, “Disappeared,” better though (plus there’s a lot more meat in the lyrics here). The main synth riff of “Crazytown” is peachy and its slight story lyric aces (though Aimee might have stuck around longer then she needed). “Soon Enough” is a great little tune, with the first real use of mainly guitar/drums/piano/vocal production (and complete with a great nasty guitar lead); the whole thing swells like a Beatles track. On “Living a Lie,” synth opens into a shaky vocal from The Shins singer James Mercer over acoustic guitar on this duet with Aimee. It’s a decent enough tune, but the two voices here are simply too much alike in tonal quality to really create anything special (though the bridge is very good). The acoustic-driven “Slip and Roll” is familiar territory for the singer/songwriter. There is a nicely played simple electric lead here too and things get rocking on “Gamma Ray.” I like the different guitar sounds, from running acoustic to nasty power chords and loud lead. Mining Bonnie Raitt on the lazy “Barfly,” Mann delivers another great lyric-with equally great piano once again. And the last tune of these 11, “Red Flag Diver,” is masterful Mann—great lyric, fantastic production and her voice strong singing.